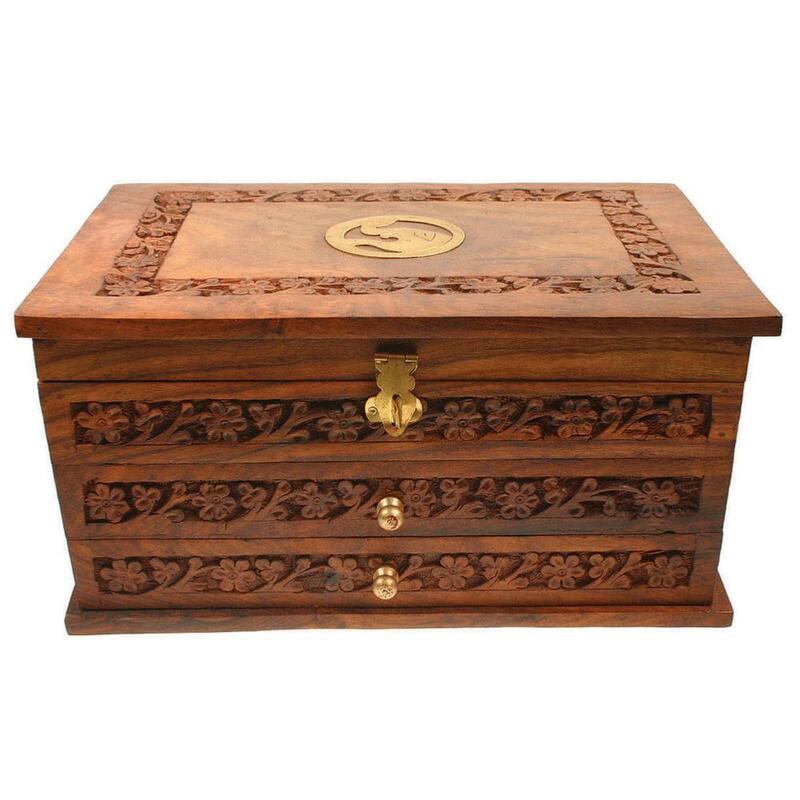 Shesham wood jewellery box with 2 drawers and hinged top compartment. Floral carved pattern with brass elephant motif on lid. Brass drawer handles and catch. Fabric lining in drawers and top compartment.